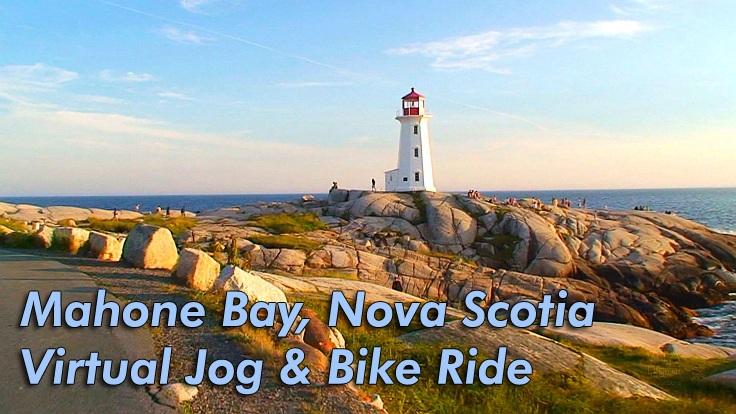 Click here to watch video clips from this DVD. 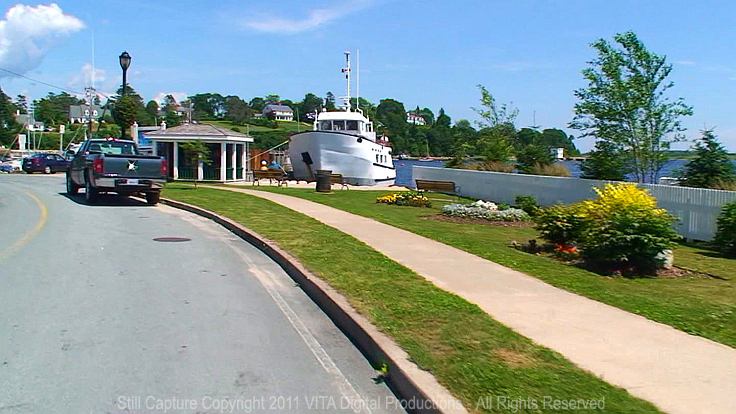 along the picturesque Mahone Bay, one of the most beautiful sections of eastern Nova Scotia. 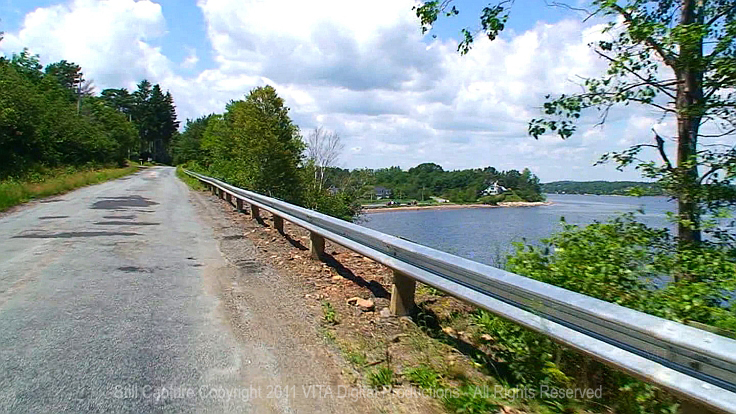 Filmed at speeds of 10 to 15 mph, it's the perfect accessory for your treadmill, spinner, recumbent or upright bike. 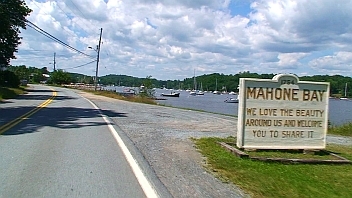 you will be traveling at 10 to 15 mph through beautiful scenic Mahone Bay in eastern Nova Scotia. 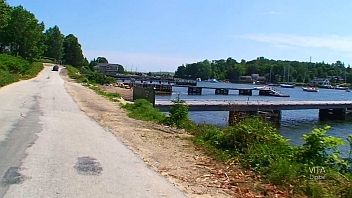 drenched by a sudden thunderstorm, or being struck by a careless driver. 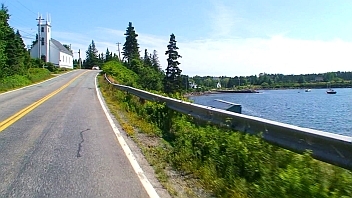 and along the scenic coastal road. 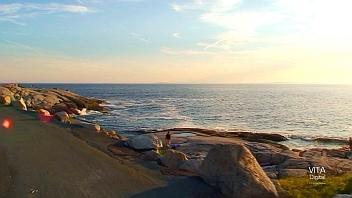 This is not a traditional travel video. 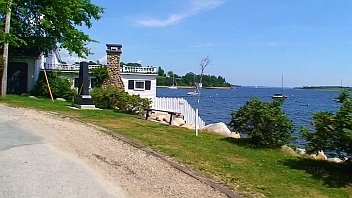 There is no narrator or music. 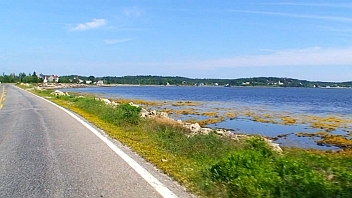 through beautiful natural scenery along Nova Scotia's Mahone Bay. 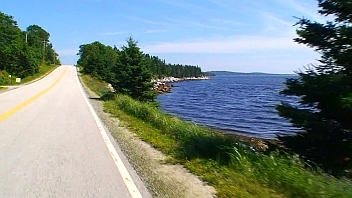 The viewer is "experiencing" the natural scenery of eastern Nova Scotia on a beautiful summer day in July. 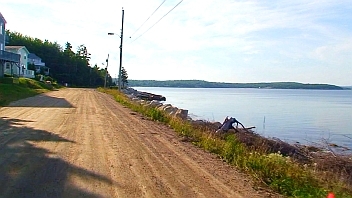 To bike or jog in summertime Canada is an experience you can enjoy any day of the year. 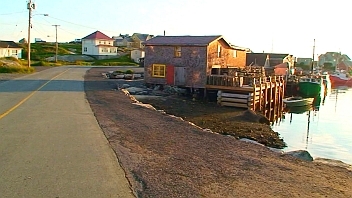 just as they were recorded in digital Stereo in Nova Scotia. 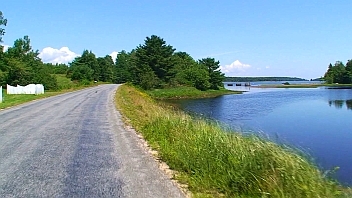 All photos on this page are actual still captures from this Video. 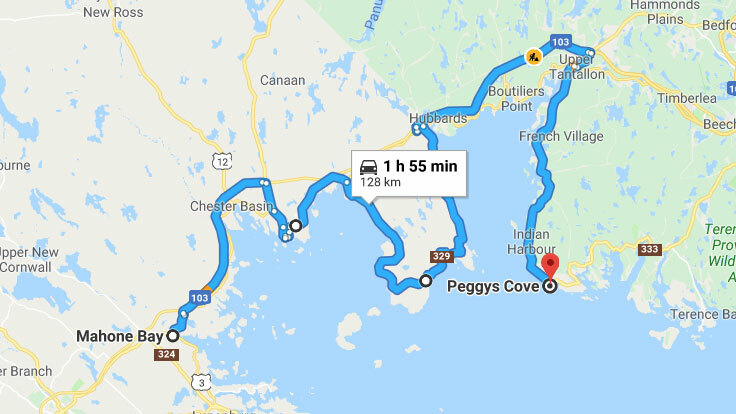 along the scenic Nova Scotia coastline to Peggys Cove. 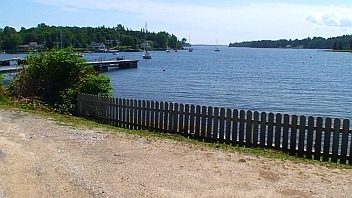 located just south of the Village of Mahone Bay. 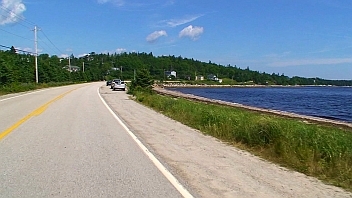 As you head northward, you follow the winding road which almost always follows the coastline. 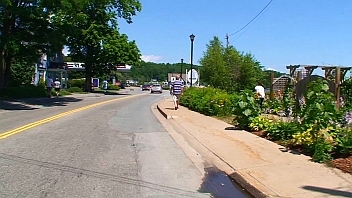 Soon you enter the outskirts of the small village of Mahone Bay. 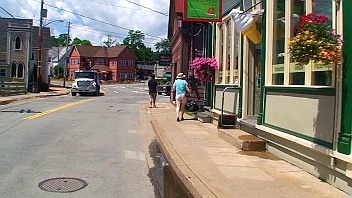 You slow to pass the shoppers out on a beautiful summer's morning. 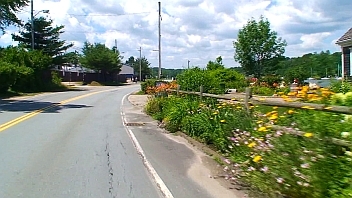 Flowers are everywhere in this scenic seaside village. 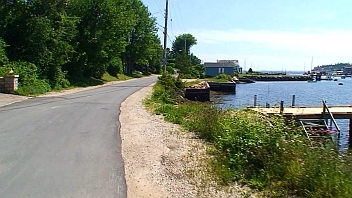 The scenery changes as the camera next enters the village of Chester, Nova Scotia. 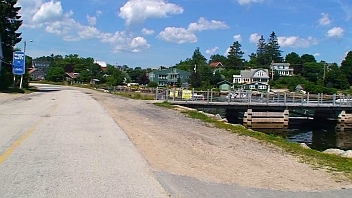 The viewer passes the Tancook Island Ferry Dock on Water Street. 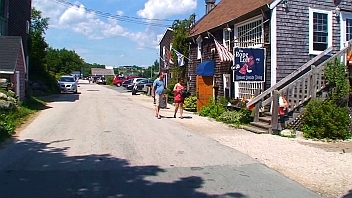 The village of Chester has beautiful shops and restaurants along Water Street. 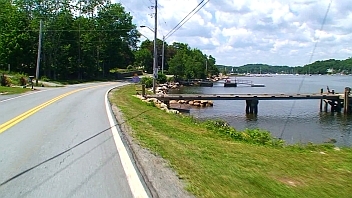 Leaving Chester, the road heads northeast along the bay. 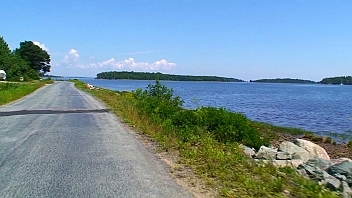 For most of the hour long Video, the road follows the bay. 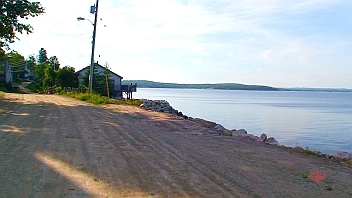 The terrain changes, but the bay is almost always in view. 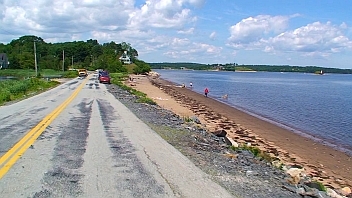 Near Mill Cove, the camera explores a dirt road along the shore. 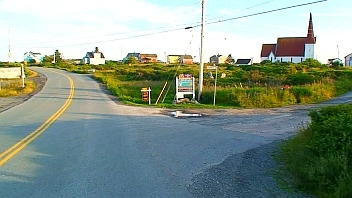 Soon, the road to Peggys Cove comes into view. 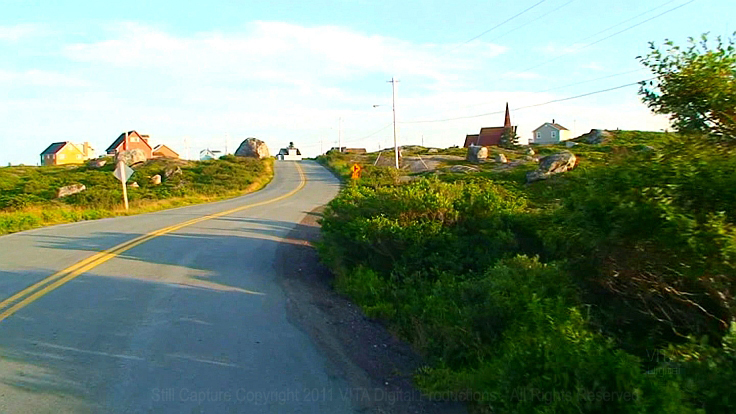 As we enter Peggys Cove, the scenery continues to be interesting and beautiful. 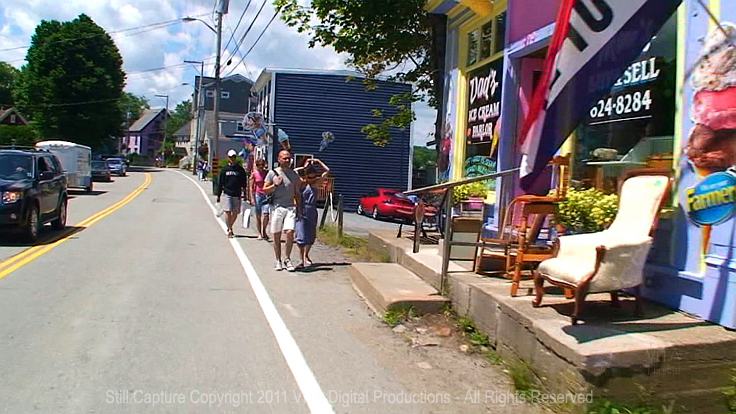 and the subject of photographers, professional and amateur, from around the world. 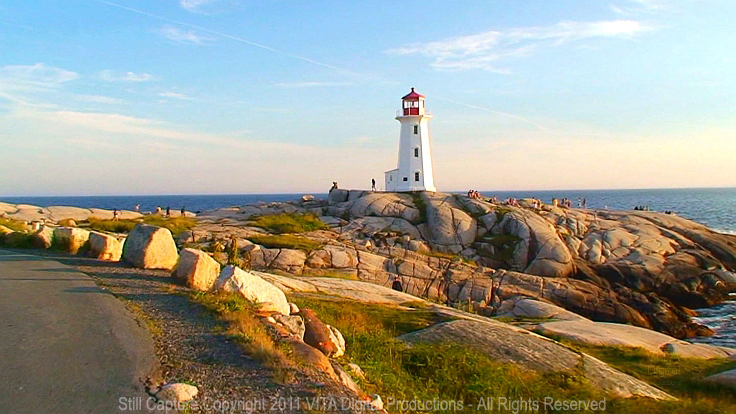 Your 60 minute virtual tour ends at Peggys Cove Lighthouse. 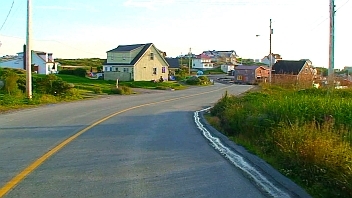 by the natural sounds (mostly birds, wind, and ocean waves) in Dolby Stereo as they were recorded on site in eastern Nova Scotia.